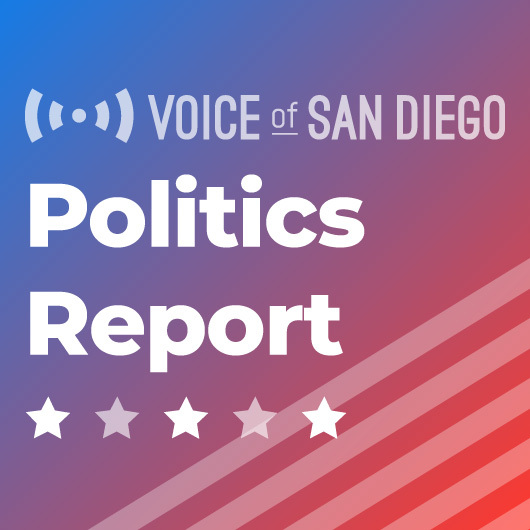 There's a lot of jockeying going on in San Diego's two Republican-held Congressional districts. Manchester tells friends it's all #FakeNews, and the Democratic Party's new YIMBY group launched with some high-ranking officials, and a few protestors. The world seems to be closing in on U.S. Rep. Duncan Hunter. Two weeks ago, Politico ran an unsparing profile adding up all we know about the scandal provoked by how he spent campaign funds. It also has new revelations about his “freewheeling” lifestyle in D.C., his family troubles, big debts and more. The latest: He says the questionable spending was his wife’s fault. To prove it, he gave journalists a challenge. “You can see where I was during the transactions … and you can draw your conclusion,” he said. U-T reporter Morgan Cook, who broke the scandal in the first place, took the challenge and it didn’t come out well for Hunter. Politicians facing scandal often avoid real trouble until their own party starts turning on them. 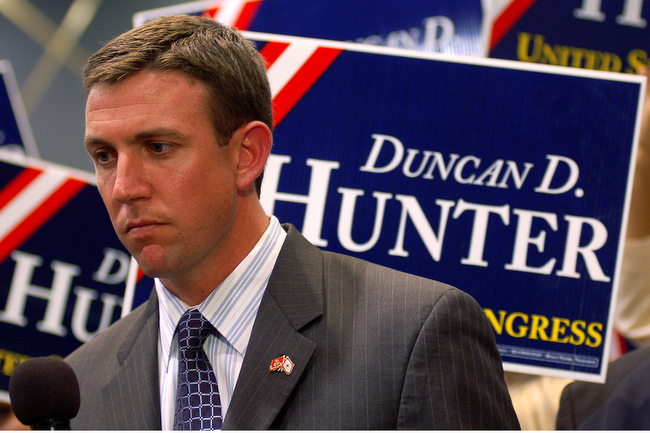 There seems to have been a tipping point among Republicans on Hunter. Rivals ready: Carl DeMaio, the former councilman turned talk show host, issued a statement to Politico. “The Republicans in this district deserve a vigorous primary which they should have had the last time it was open,” she wrote in a message. One rather high-profile Republican put his chips in. 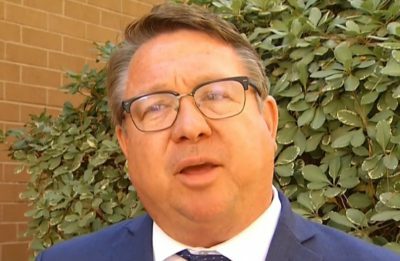 El Cajon Mayor Bill Wells has been making news a lot this year, not always for very good reasons. I felt that, if these allegations prove to be worse than they already are, there had to be another credible, conservative candidate involved in the race before the filing deadline. Do you believe the allegations? The allegations are concerning. Some of it is not disputed. It’s uncertain what the Department of Justice is going to do and we didn’t want to go into the election season without another option. What are the values you mentioned? Strong national defense, strong border security, fiscal responsibility — I’m very worried about the national debt problem. I’m also a doctor of psychology and very interested in mental health issues. What do you think of President Trump? I’m supportive of President Trump. I don’t pay much attention to his tweeting and the unusual way he sometimes interacts with the press. I’m strongly supportive of the tax bill and border security. You said the deficit was a major problem. The tax bill exacerbated it, didn’t it? Yeah and I’m, to be honest, a little concerned that the reduction of taxes wasn’t accompanied with a reduction in spending. Well, if you support a strong national defense and military spending, some of the biggest other areas of spending are Medicare, Medicaid and Social Security, would you want to cut those? Deciding to run sure seems like a bold move on your part. I’ll either go down as the goat or the genius. The U-T reports that U.S. Rep. Scott Peters has picked his preferred candidate to replace Hunter: Retired Navy SEAL Josh Butner. The paper has a good update on all the fundraising among existing candidates for the seat. Ammar Campa-Najjar, for instance, has raised $520,000 — more than Hunter, Butner and Republican Shamus Sayed. 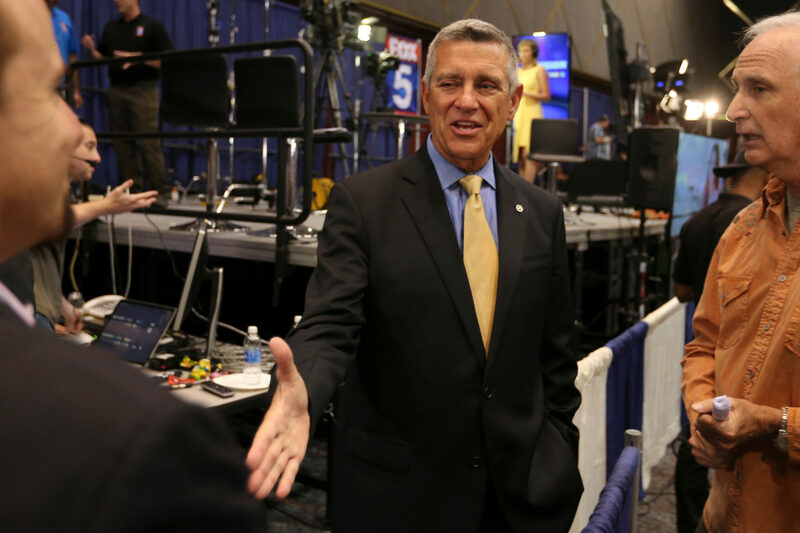 Earlier this week, Randy Dotinga rounded up five takeaways from new reporting about Doug Manchester’s reign as owner of the Union-Tribune. While the U-T itself had the first story, it was spurred by a big profile that was coming out of Manchester in the Washington Post. A source passed along a message Manchester sent to friends about the Washington Post article. You may read a forthcoming, untrue article in the Washington Post about the U-T San Diego written by Robert O’Harrow. Mr. O’Harrow has proven to be a highly biased, Trump-hating reporter who is doing everything to undermine Trump’s nominees. For all who know me, you know I am a highly principled and loyal patriot who loves his country, family and friends. It is with hopes and prayers that you will recognize the slanderous nature of this article that is based on comments made by disgruntled employees, and those who were either fired with cause or laid off during the company’s employee downsizing six years ago. Lynch told us, in an email, he’s proud of his service. I can hold my head high that we conducted ourselves with 100% professionalism. Democrats are still thrilled that they got U.S. Rep. Darrell Issa not to run again, but they’re also grappling with how hard it could now be to win the district. We reported this week on pressure to cull the Democratic field. The fear on the left is that, with too many Democrats running, plus a bunch of Republicans, two Republicans could advance out of the primary to the runoff. Democrats would go from hoping to flip the district to not even having a candidate in it. Doug Applegate and the Service Employees International Union did a lot of work to position him to move to a county supervisor race. But it was apparently not to be. We talked about it all on the podcast this week. The new group for Democrats, who want to see dramatically more home building, to balance out people who oppose housing near them had its launch party Friday night. 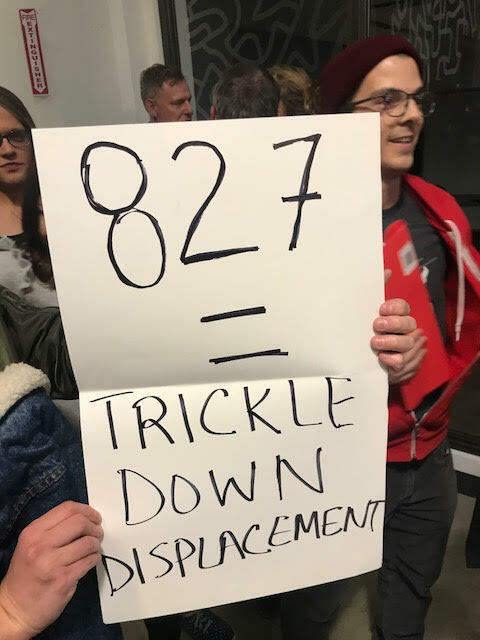 It coincided with the state party’s annual convention happening at the Convention Center, so it got a big crowd and a handful of elected officials lending their support. 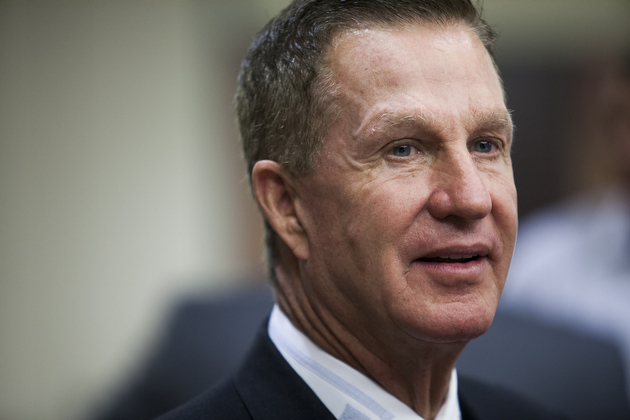 Rep. Scott Peters praised the club for focusing its energy in the Democratic Party, rather than chartering as a nonpartisan group. A hell of a metaphor: “Let’s stop talking about ‘taking density’ as if it’s getting a civic enema,” Peters told the crowd, colorfully lending his support to increasing housing density in urban neighborhoods. In-party debate: State Sen. Scott Wiener was in town from San Francisco and spoke to the crowd. He’s the author SB-827, which would require cities to allow projects within a half-mile of a major transit stop, or a quarter-mile of stops with less frequent service, to build up to 45 to 85 feet, depending on specific characteristics of the project area. Saturday, I was invited to participate on stage with Jon Lovett for a live production of his “Lovett or Leave It” podcast. I hadn’t been very aware of the podcast. I had no idea how much fun it would be. I have never been in front of such a big or energetic crowd. Balboa Theater was sold out. The show isn’t even a year old. Lovett, is a comedian and TV writer, who became a speechwriter for President Obama. His politics seem very similar to Obama’s. But his comedy and insights are cutting. His fans eat it up and participate loudly. They are obviously very Democratic and passionate. But he’s a remarkable performer and I have heard from a few conservatives who enjoy the show. Lovett’s charisma is no doubt the key to its success. But it’s also astonishing to me that it’s a podcast — that a podcast produced what came off as a highly-anticipated concert. The last show I saw at that theater, like that, was Ira Glass’ performance, which was very good. But that’s a man who spent his entire career building a show “This American Life” that became hard-wired into hundreds of public radio stations and their infrastructure. The internet has a lot of things going wrong. But there are people creating amazing stories online. New types of media and political commentary are melting the real and digital worlds. Podcasts are weaving into stand-up comedy shows, which are weaving into rallies and social media and protests. The media has always connected politics but I don’t think we have any idea what this is going to be like. The show Saturday made me more interested than ever in doing my best to keep up with it. The show is not yet online. I’ll link to it when it goes up. Send us your tips and pitches. We can be reached at scott@voiceofsandiego.org and andrew.keatts@voiceofsandiego.org.